The office of the Public Protector (PP) has confirmed it has received a complaint by the Economic Freedom Fighters (EFF) against Minister of Public Enterprises Pravin Gordhan. The EFF on Thursday wrote to PP Busisiwe Mkhwebane, asking her to investigate whether Gordhan violated the Executive Members' Ethics Code. 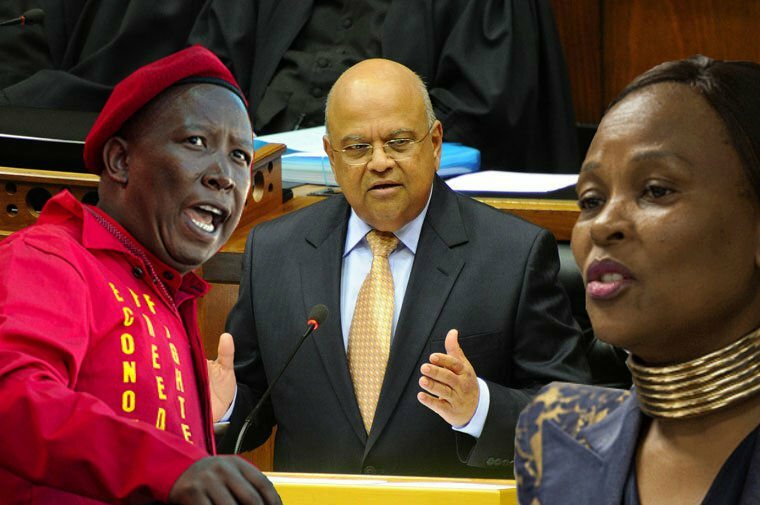 The EFF on Thursday wrote to PP Busisiwe Mkhwebane, asking her to investigate whether Gordhan violated the Executive Members' Ethics Code by allegedly misleading Parliament about his meetings with the Gupta family. The EFF lodged the complaint after Gordhan's detailed interaction with the infamous Gupta family came to light in an affidavit that was leaked to the media. In the leaked document, Gordan said former President Jacob Zuma had introduced him to a man he believed to have been Ajay Gupta in one of the meeting rooms at the Presidential Guesthouse in Pretoria. In a statement, the EFF argues "not disclosing meetings and engagements when a minister is asked about them is a serious violation of the Executive Ethics Code." The EFF could not be reached for comment.